RJ 14 CABLE VoIP SWITCH JACK (A B Switch Jack). 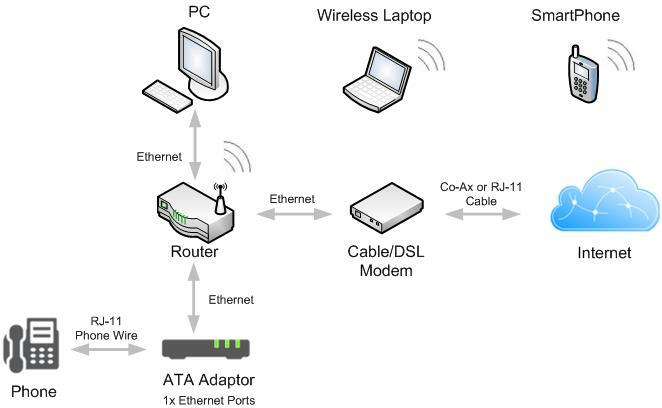 Connect all of the phones in a home to a Cable or VoIP Phone Line... Has 1 RJ 14 Modular Jack for Cable or VoIP Modem. This is the Jack to use to feed all of the phones in a house with dial tone from a VoIP or Cable telephone line. Why CSI? Getting you connected! Cabling Solutions has been installing and servicing low voltage infrastructure wiring for over 20 years. Whether you’re looking for Cat6 or Cat5 Enhanced high speed Data, Fiber Optic or Voice cabling, our certified technicians will install what you need, professionally.